← Baked Sweet Potato Fries! Many of my past food adventures failed because I found the food preparation too tedious or time consuming. The fast food industry as well as the restaurant and packaged food industries thrive because people no longer have the time or patience to prepare their own foods like they used to. Because there is always a quick conventional meal available at a restaurant (fast food or otherwise) or a packaged meal that requires only a few minutes in the microwave, I never have to go hungry when I am pressed for time. Unfortunately, it is very difficult to find packaged, fast, or restaurant food that is consistent with the Eat to Live diet. The market forces simply do not yet allow for much of it. There will have to be a huge change in America’s dietary habits before it becomes profitable. It is no wonder then that when I rely on food outside of my own making, I gain weight. So, if I don’t have healthy and tasty food quickly available to me, I will surely get hungry, derail (fall off the wagon), and gain weight. With my only option for eating “Fuhrman style” being to prepare the foods myself, and needing the food to be as tasty as possible, I began to explore new ways to prepare my food. I was looking for both convenience and taste. I stumbled on one way sort of by accident. My microwave oven broke, again, and my younger daughter, sort of a health nut in her own right, told me she did not like microwaved food anyway and urged me not to replace it. 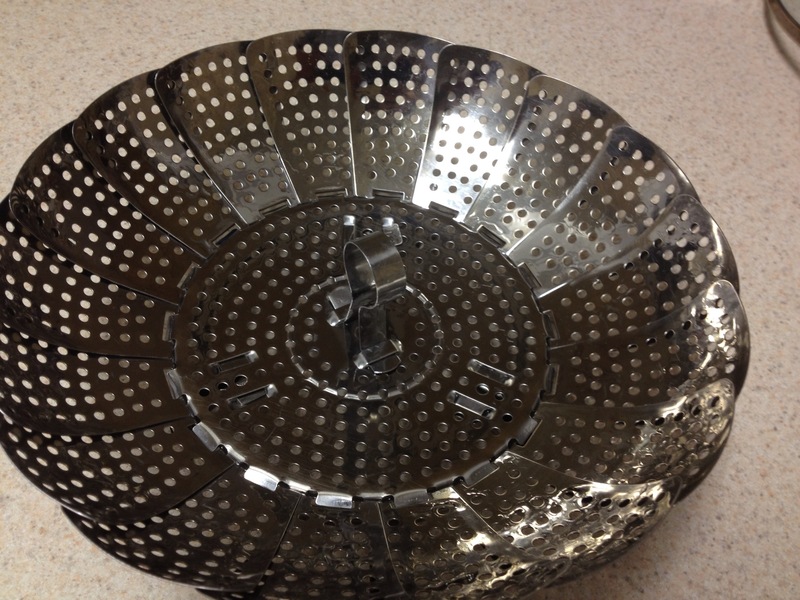 I had previously used a steamer to cook things like green beans or broccoli. I noticed that cooking these vegetables with steam does not require much time and even less work, so we pulled our electric steamer out from the back of the shelf and began to use it for reheating our foods in addition to cooking the new foods. What we discovered is that food preparation with a steamer can be about as fast or even faster than heating things up with a microwave. In any event, it is plenty fast enough to allow me to prepare my foods in a short amount of time. 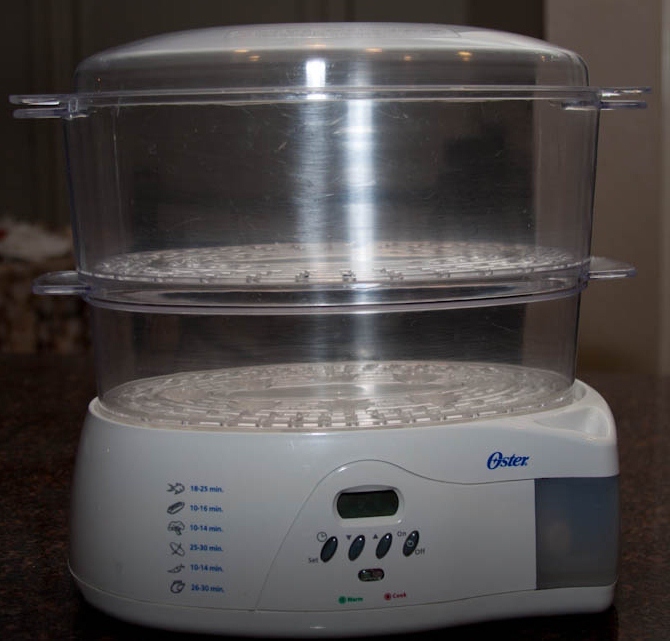 Moreover, the quality of the resulting food is significantly higher with a steamer than with a microwave. The steamer has allowed me to significantly reduce the time and tedium associated with preparing healthy delicious meals. Needless to say, the electric steamer’s home is now on top of my counter, next to my blender. Unlike my blender, the steamer is quit affordable. I got my steamer from Amazon.com for about $39.99. It is the Oster model 5712. I have even a cheaper steamer (just a few dollars) at my office and it cooks great, however it is geared more for just one course. Additionally, it takes a little longer to make the steam because while the Oster has a special heating element that takes only seconds to start puffing steam, the metal steamer relies on the stove and the pot of water to make the steam. 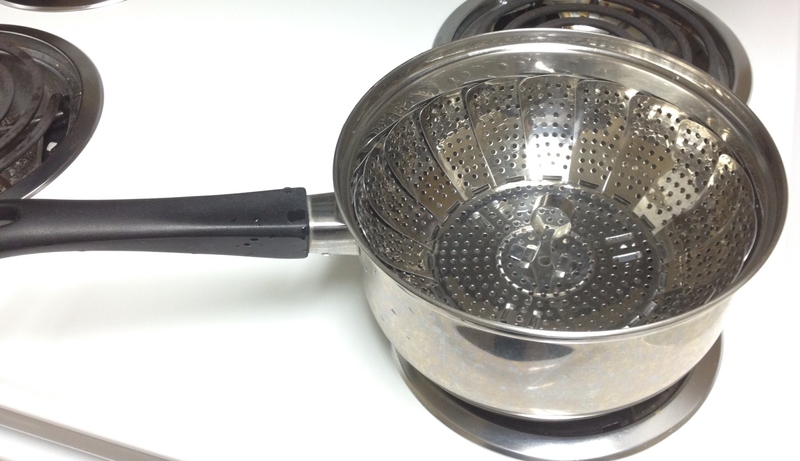 The metal steamer simply sits in a pot and holds your food while you boil water underneath. While a quick bowl soup can be prepared in the microwave in about a minute or two of cooking time, I have noticed that cooking for two, or preparing more than one course quickly adds up the minutes. For me, heating up a batch of rice in addition to the other courses takes several minutes, depending on the number of servings. I have had the microwave going for 10 minutes at a time to heat up a family portion of rice or potatoes, only to have it cool down while I warm up the next course. Being able to heat up only a few small courses at a time makes it difficult to get the family meal hot and ready at the same time and in a timely manner. I frequently have to resort to keeping some courses in my conventional oven to stay warm while I am heating up the other courses. It is easy for me to spend 10 to 20 minutes or more trying to get everything warm. With my double decker electric steamer, however, I can easily simultaneously cook or reheat two courses (or even three or four courses if I arrange the foods neatly) in about the same time or less. This includes solid foods (asparagus, green beans, chicken, etc.) as well as wet foods (soups, stews, etc.) I have found that I can prepare a steamer full of food in about 10 to 15 minutes and often less than that, depending on whether I am trying to cook something or merely heat it up. For a simple heat up, I can have piping hot food in about five to six minutes. So while a microwave can heat up a small plate of food in a minute or two, it saves me only about three to four minutes. This is just enough time for me to hurry and set my table, get out my spices, and pour my water, etc. Because the steamer handles larger portions better, and I can stack the courses and cook them simultaneously, the steamer is faster for larger portions or several courses.